We are a family obsessed with bums! Yup, you heard that right; our jokes always include the mention of the rear. When my sister had my niece, our vocabulary took a drastic turn, and we both invented many interesting names for derriere. So much so that it became a habit for us to measure the loveliness of baby with the softness of baby bottoms. Weird, I know. 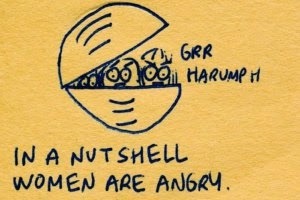 But we are a family full of nuts. But, seriously, can anything beat the joy of squeezing the chubbiness of baby soft bon bon? Watch any of those Pamper ads, the cute pat on the baby bottom always bring a smile to the face. Compare it with the wispiness of cotton, and the cotton will fail miserably. Jokes apart! A child’s skin is delicate and has few defenses against climate change and pollution, which makes it vital for us parents to protect the richness of our baby skin for as long as ever. He is a threenager now, you know what I mean? When I ask him to do something I get a no-mama-head-oscillation. Clearly those days of easy massages has gone out of window. But one thing I surely try to do after his bath is moisturize his entire body and face using a water-based moisturizer during summers and cold cream treatment during winter, even if I have to chase him. I recommend Atogla, we have been using it since he was few months old. Bath time use to be my son’s favorite passes time. But that was before he hit the twilight zone (read: terrible twos). But if I let him hold the bar of soap and do as he please—for some time atleast—than the day becomes much easier. So since his birth we have been using a non-fragrant soap with neutral pH as recommended by the Doctor to keep his skin smooth and free of irritation. And it has worked wonders especially during changing weather. Protecting your baby from the harsh rays of sun and direct sunlight is extremely important. When my son turned 6 months we started using sunscreen for the exposed areas like face and hands. As we travel a lot I always keep a cap handy to protect him from direct sunrays. If I say Diapers are the best invention ever—all mothers will nod their head in unison. Yes, they save time, laundry loads, and stinky clean-ups. But, there is a downside – diaper rash. How to prevent it: change the diaper every two-hour, immediately change a poopy diaper, and always keep a zinc diaper rash cream handy. Ok, so we are mothers, we are over-protective and we love bundling up our babies, you have a problem with that? Yes, in our over-protectiveness we tend to over-do it a bit. Avoid the urge to overdress the baby, especially during winters, that just makes babies hot and sweaty. As a rule of thumb, they only need one more layer than we do. Invest in soft breathable cotton to protect your baby’s skin. As a kid growing up in the 90s, my first recollection of summer vacation is a day of chasing dragonflies with my friends. The bratty-ones use to tie a thread on the tail of the flies (sounds brutal, I know)—they were the expert in the game—much-respected and lauded among their peers. Such was our obsession of catching the flies that even games like pitthu and hide-n-seek took a backseat that summer. We all use to start early so that we get enough flies to practice and master our art. Fast-forward today; my 2-year old first introduction to the concept of chase has come from Temple Run or Subway Surfers. 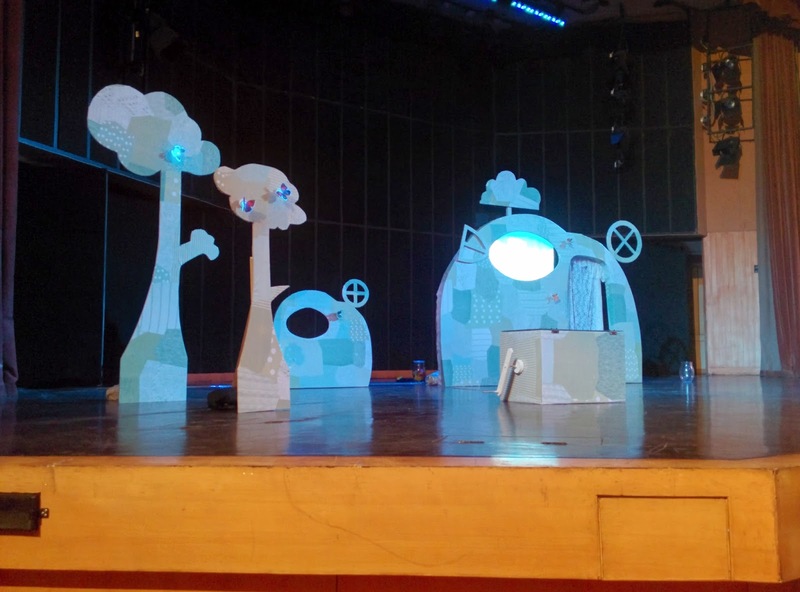 So, when few weeks back Israel-based director Elinor Agam Ben-David’s toddler play Butterfly Kiss came to Indian Habitat Center, Delhi, I knew that this was something I would never miss for life, for my sake as well as Aurko’s. 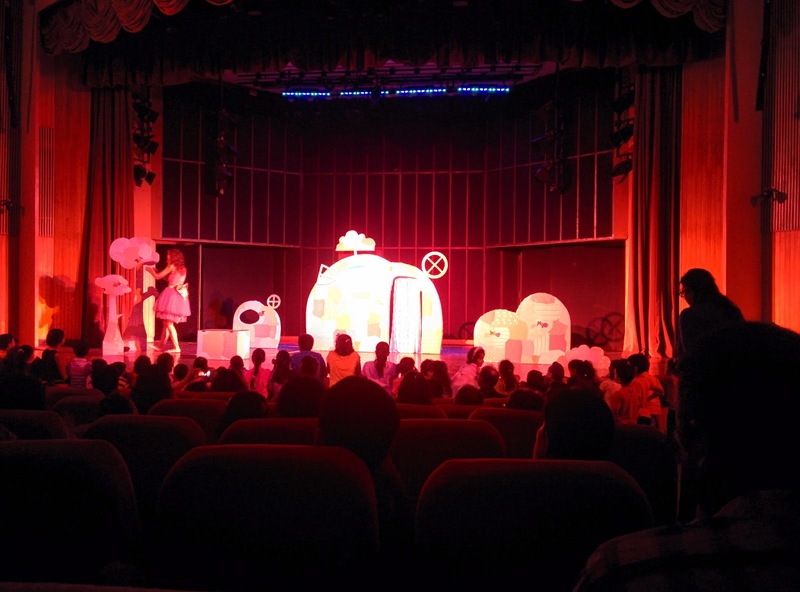 The concept of toddler’s plays being non-existent in India, I was eager to find how would they be catch and hold the attention of 2-year old. 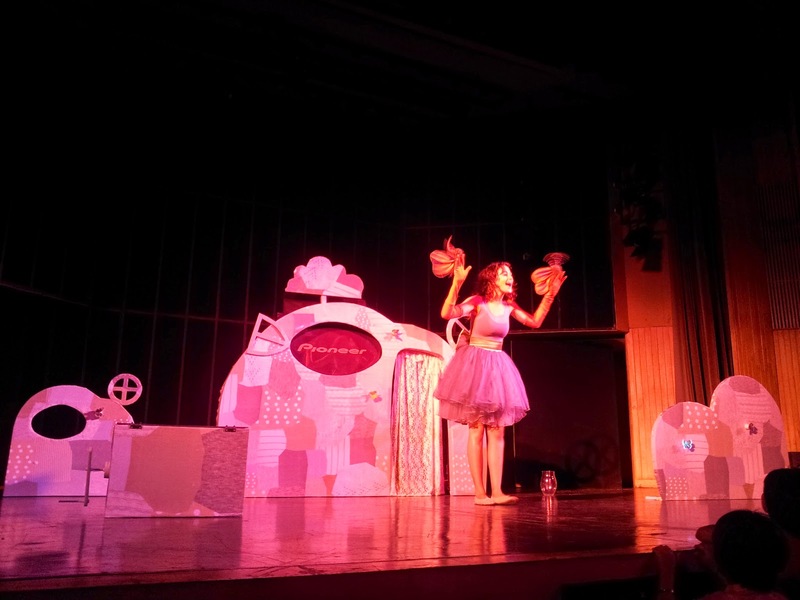 The play narrates the tale of a young girl who catches butterflies in a jar and finally decides to set them free, but only after getting the last butterfly’s kiss. After watching the first scene, I knew that only a mother—who knows the psyche of a child—can come up with a concept so simple and innocent. The use of hand puppets, digital artwork and toys made the show visually appealing and interactive at the same time. The play was recited by this beautiful lone actor Hagar Tishman, who effortlessly formed a bond with the audience the moment she entered the stage. Dancing, playing and sharing butterflies, Tishman made sure that the backbenchers also get the same attention. The best part was kids were allowed to stand very close to the stage making them the participants. Alas! All of the kids in the front where way older then toddlers, but nonetheless the interaction was not limited to the front rows. Now, how Aurko perceived the show is all together a different ball game. I would say the experience of sitting among 50 kids was something new to him. He was very coy and shy to start with, but warmed up to the show in the end, much to my surprise. It’s just a start for him; we are taking tiny steps now. Though, I have not seen a dragon fly in Delhi yet. I hope to find few butterflies in our small garden for him to chase. At the end of the show, we all received a handful of little butterflies, which the actress tapped on our cheeks—like a kiss. Altogether, it was a wonderful experience, and something I would love to see again. I don't think women can have it all. I just don't think so. We pretend we have it all. We pretend we can have it all... Every day you have to make a decision about whether you are going to be a wife or a mother, in fact many times during the day you have to make those decisions... We plan our lives meticulously so we can be decent parents. But if you ask our daughters, I'm not sure they will say that I've been a good mom. I'm not sure. I would call that impressive. Not just that, it also made me realize no one has it easy in life. I loved the fact that she gave us a peep into her life in not so many words. We working women are always facing this dilemma of how to attain a work-life balance. There are days when things are smooth, and then there are some when it could have been better. By accepting that probably she did not give enough time to her daughters while they were growing up is probably a reflection of a remorse that she maybe harbouring inside, or maybe not (I am not psychologist), but atleast she said it out loud. Besides this current jargon of having it all is all Hebrew to me. What defines having it all? That word is too idealistic to be true. We all know, career and motherhood can go hand-in-hand, our mothers had done it. There will always be glitches in life and every one faces it be it men or women, single or married, working-mom or homemaker. I am surprised with the people’s reaction. The hate blogs and articles that are cropping on the wake of this interview are mostly from working women—where they are boasting about how easily they have been managing both sides of the coin. But when bloggers claim Nooyi is endorsing working woman as bad mothers, I vehemently disagree because her interview was an honest reflection of what she has to deal with, and how many times have we heard a person of her stature speak up about their shortcomings in such a matter-of-fact way (she could have said the same in guise of humor and satire). Her interview was not about the archaic war between stay-at-home and working moms. Life is tough, and we are constantly making decisions and choices, sometimes we succeed, other times we fail, but in the process we grow as a human and try to survive each day the best we know how. The world is increasingly becoming less tolerant and opinionated. Let’s not shred someone for letting us peep into their life. Embrace it, take the good, eliminate the bad, and move on.